The Class of 2014 dedicated their Senior Class gift to the School in honor of Mr. Peter Lutken, distinguished ESD faculty member for 26 years; serving from 1988-2014. The Stephen M. Seay Foundation then added to their gift to establish the Seay/Lutken Outdoor Endowment to support and maintain programs and projects in ESD’s outdoor learning areas. 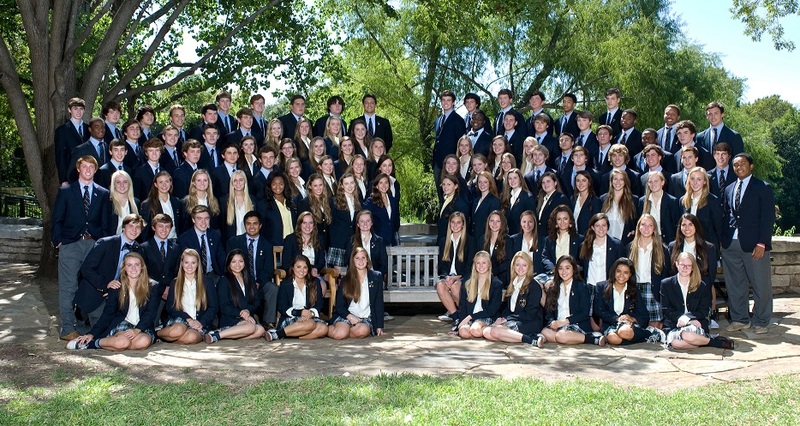 What inspired your gift to The Campaign for The Episcopal School of Dallas? Elise Waller '14, Student Council Senior Class Vice-President: Mr. Lutken was such an integral part of my education from Middle School theater class to his annual 3rd quarter Roger Bannister speeches. His love for the outdoors and learning encouraged me to critically think and explore the unknown. He was constantly instilling a sense of curiosity into our minds, pushing us to be not only the best students we could be but also the best human beings. Peter Lutken: The Class of 2014 and their gift to the School. What appealed to you about giving to endowment? Elise Waller '14: My senior year of high school, our class decided to raise funds for ESD’s outdoor education programs in honor of Mr. Lutken and his retirement. As ESD begins a new journey towards combining the Lower and Upper campus, our class wanted to give back to the areas of the school that impacted us most. Mr. Lutken will always be among the fondest memories from ESD. His knowledge seemed to span to every edge of the spectrum from nature, to astronomy, to history; he always had an answer. He also seemed to be able to identify the divine in almost anything, but particularly in nature. His legacy of intellectual curiosity and practiced kindness is something that every institution should strive to demonstrate. Peter Lutken: Providing long term support for the School’s outdoor programs. Please describe the purpose of your endowment fund. Elise Waller '14: This endowment will be used to further outdoor education, starting at a very young age. The idea is to expose all ages to nature, allowing them to explore their knowledge and spirituality simultaneously. Peter Lutken: In the early days of ESD, French teacher Joanne Jones introduced Father Swann to the Lutken family. He became friends with my dad, who served on the board. This led to my brother Tom being hired as the first full-time Director of Outdoor Education in the late 1970s. Sharing my family’s passion for the outdoors, I want to preserve and protect the Quarry, Wolf Run, the Blaz Memorial, and other outdoor areas as outdoor learning centers for future generations. What advice would you offer to inspire others to consider establishing an endowment fund? Elise Waller '14: I think it is important to give back to areas of education that challenged you or made you a better person in order to give others the same or an even better experience. My fondest memories of ESD are those spent at Wolf Run or learning from Mr. Lutken in the Quarry or Butterfly Gardens. Peter Lutken: Talk to teachers, alums and students. Get their advice and ideas.